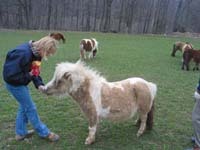 Friendly miniature horses for sale, or just come to visit. Horseback rides available for small children. Birthday parties, our place or yours.